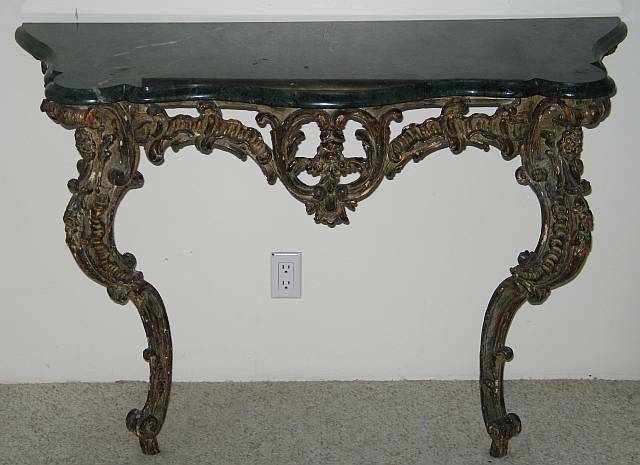 18th century Venetian console with scroll and floral pierced carving. Apron with centered floral cartouche and elaborately carved cabriole legs. Old paint and gilt finish. Later green conforming marble top. Frame strengthened. Wall mounted.